Is the location mostly in the sun, the shade, or a combination? Will some areas be subject to heavy traffic? Do you engage in overseeding? 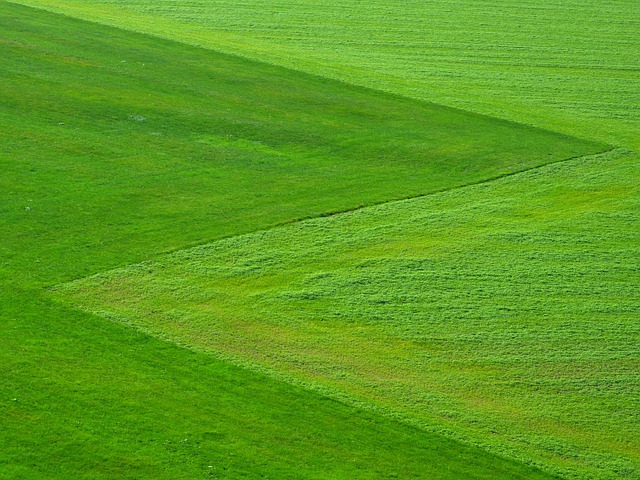 Do you prefer a dark green turf, or turf that is lighter in color? With those questions in mind, here are some types of Arizona Sod that have proven to be successful. Bermuda grass has long been favored in hot, dry environments. It is very drought resistant, and it will grow in a variety of soils. Common varieties preferred sunny locations. Traditionally, the problem with common bluegrass was the profusion of unsightly seed heads. Despite this, Bermuda has been favored across the South due to ease of maintenance. In fact, "Mease's Geological Account of the United States" referred to Bermuda grass and its advantages back in 1807. Today, in Arizona, Bermuda grasses are found on golf courses, lawns, and sports fields. Common bluegrass has a medium-width blade, but the newer hybrids are typically fine-bladed. This makes for a tight-knit, softer carpet that can be cut rather short. In fact, Tifgreen and Tifdwarf are popular for golf course greens because they can be cut as short as 1/8-in. Today's new hybrid varieties eliminate the problem of unattractive seed heads. Because they produce no viable seed, propagation is only via sprigs or sod in Phoenix. Bermuda is traditionally good, but not great, in cold temperatures. Care should be taken in selecting the right hybrid varieties in higher elevation applications. Bermuda grasses traditionally preferred sun over shade. Again, though, hybrids have been developed that are far more tolerant of shade. Tifgrand is one such variety. These hybrid Bermuda strains first emerged in the 1960s with the introduction of Tifway 419. It's a finely textured, dense, dark green grass. The "Tif" in the name, by the way, honors the University of Georgia in Tifton, where these hybrid Bermudas were first developed. Tifway can be used with success on sports fields, golf courses, and lawns. Tifway II is a dark green Bermuda that can tolerate colder temperatures. Tifgreen 328 is more of a medium green, and it produces a very dense carpet. These hybrid strains also also more disease resistant than their predecessors. Because growth is dense and tightly-woven, weed resistance is excellent as well. Hybrid Bermuda grasses do require proper fertilization and de-thatching to maintain optimal appearance. Periodic aeration is advisable, but only during the active growing season. For shady areas, Palmetto St. Augustine is another variety to consider. This is a lighter-colored grass with a wider blade. As a result, many residential and commercial users like the texture of Palmetto St. Augustine. Midiron is highly recommended for a lush lawn in the winter. It recovers quickly from overseeding. Those that like to entertain in the winter or early spring and want a rich, vibrant lawn at those times will want to take a close look at Midiron. It does not demand as much maintenance, and it is quite drought resistant. Evergreenturf.com is a prime source for sod in Arizona. From the football field of the Arizona Cardinals to tournament-caliber golf courses, Evergreen Turf has installed Arizona sod that has flourished over time. For more information on Phoenix sod, visit our website .